Today I introduce you to Homemade Vegetarian Spring Rolls. The ingredients are tofu, carrot, mushroom and some seasoning. Sometimes we feel frying is too much work but these spring rolls are out of this world! It is worth the little bit of extra effort. The spring rolls have a nice crunchy wrap and smooth and flavorful filling. They are irresistible! Plus, I use a plastic bag to mix the filling so that makes cleanup easier. On the PDF recipe, I explain how to wrap the filling step by step. It is not difficult. You should already be used to it when you roll a second spring roll. If you have children, it may be fun to roll the spring rolls up with them. I used to do that when I was little. Process drained tofu in a food processor. Put all ingredients in a plastic zipper bag and mix well. On a wrapper, squeeze the filling out directly from the plastic bag and roll up. (To store, before frying put them in a plastic zipper bag carefully and keep in the freezer.) Fry until it is nice golden brown. Categories: Fried, spring rolls | Tags: beauty, fitness, Food, fusion food, Healthy, Recipes, Tofu, Vegetarian | Permalink. Today I introduce you to Cheesy Sweet Potato Croquettes. I put shredded cheese and corn kernels in mashed sweet potato so it is very cheesy, creamy and incredibly tasty!! I use sweet potato instead of regular potato because it is healthier. Sweet potato is high in vitamin C, potassium and fiber. And it also has a low GI (glycemic index). This means sweet potato doesn’t make our blood sugar rise quickly or as much as foods with a higher GI, even though it contains carbohydrate. It is healthier to eat low GI foods first during your meals. You might want to consider the order in which you eat things to avoid raising your blood sugar quickly. Croquettes are very filling and delicious. They are not only good as a main dish but also for kids’ snacks after school. You may think that frying is too much work but this delicious dish is totally worth it. We can cook a lot of croquettes at once and store in the freezer before frying. Mash boiled sweet potato. Wrap cheese and corn kernels mixture with the mashed potato. Batter the mash potato and fry. Categories: Croquette, Uncategorized | Tags: beauty, cooking, fitness, Food blog, fusion food, Health, Party, Recipes, Snack, Sweet potato, Vegetarian | Permalink. The reason I use soy milk is that I wanted to add protein to the soup. I used regular milk for my cooking when I lived in Japan. However I have used soy milk a lot in my diet since I moved to the US because there are fewer opportunities to get soy nutrients here. 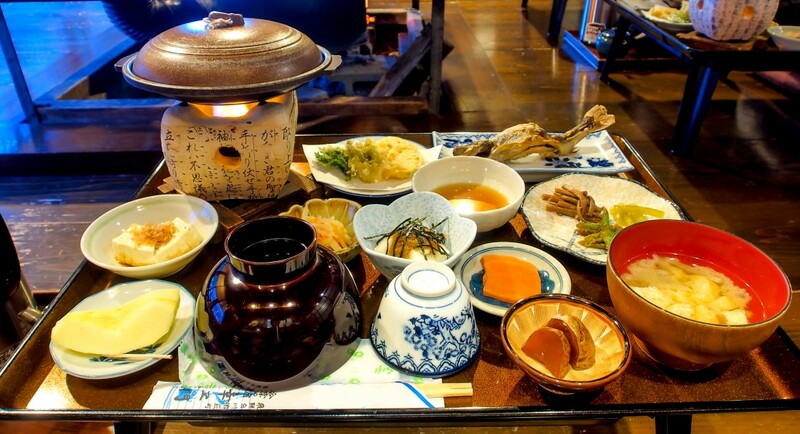 When I was in Japan, I had Natto, which is fermented soybeans, miso soup which is also fermented soybeans with salt and koji (the fungus Aspergillus oryzae) and used soy sauce for my cooking everyday, and I frequently had tofu dishes and soybean dishes. So I didn’t need to get nutrition from soy milk. I want to say that soy milk is not milk. It is actually soybeans and water. But now there are many flavors of soy milk products which contain many additives to make it tasty. I think it’s better to drink these soy milk products than to drink sweet soda or sweet fatty beverages. If you don’t like these additives, you can choose Eden Organic Soymilk Unsweetened which has only two ingredients, soybeans and water. It has more of a soybean taste, but it is very healthy! Now you can drink a glass of pure, unflavored soy milk per day because it’s not milk but just soybeans and water as I said. It is not good, however, to drink soy milk heavily like water. As I sometimes mention on the blog, we need to eat well-balanced meals to be healthier. For example egg is a highly nutritious food but we can’t live by eating only eggs because they don’t contain fiber and vitamin C. It could make you unhealthy if you ate only eggs. My point is you can’t eat huge amounts of soy even if it’s a healthy ingredient. I use soy milk only for cooking soup or for my cereal about twice a week. I have 1/4 pack (3oz.) of tofu twice a week, miso soup every other day and use soy sauce for my cooking everyday. And I am totally healthy!! My suggestion is to use several kinds of milk substitutes wisely in your meal. You can use any kind of milk for this recipe if you want but I highly recommend to use soy milk for cooking because that makes your dish nutritious and delicious!! If you can, try to use unsweetened soy milk which contains only soybeans and water for cooking. It’s very healthy!!! The recipe is very easy! Sauté cut onion and sweet potato. Simmer with vegetable stock. Add soy milk and blend with a hand blender. Categories: soup, Uncategorized | Tags: beauty, cooking, fitness, Food blog, gluten free, Healthy, Recipes, vegan, Vegetarian | Permalink.